The Point of Me: A spiritual tale of love and acceptance by Rachel Davidson. A beautifully written, fast-paced first novel with a spiritual message. A five-star recommendation by Healthy Life Essex book reviews. Available on Amazon for purchase now. 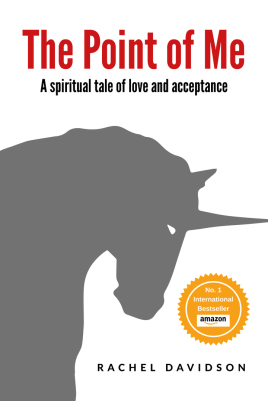 The Point of Me: a spiritual tale of love and acceptance is Rachel Davidson’s first publication, but I have no doubt that an author of her calibre will publish many more books. I was hooked on this spiritual tale as soon as I read the introduction on Amazon. Rachel writes exquisitely: you will be transported immediately to the places, both physical and metaphorical, that the characters inhabit. You will feel yourself drawn in to dream-like, fantastical situations, so much so that this is a book I could read time and time again. If you are looking for an eloquently written, fast-paced novel, then I would certainly recommend The Point of Me. But the book is so much more than just a novel. James is a teenager with a terminal illness. One can only imagine how not just he but his whole family struggle to cope with the situation. You will get to know and really understand four main characters, James, his parents, and sister Lyra; and how and why they act so differently. As James’s personal journey unfolds, through some seemingly magical encounters, a wonderful insight in to the purpose of life on earth enlightens and empowers him, and the reader, culminating in an emotional and breath-taking finale in the last two chapters.